The city of São Paulo, characterized by its hospitality, annually receives millions of tourists of different nationalities. However, the city is not only a travel destination. 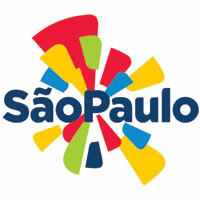 The latest data collected by the National Foreign Registration System (Sincre) and organized by the Center of Tourism and Events (OTE), center for the study and research that belongs to the municipal company São Paulo Turismo (SPTuris), prove the affirmative and reveal the 15 biggest foreign communities residing in the state capital. Formed by a plurality of foreign communities, the metropolis is the home of people from a myriad of places, from Portugal to Kabardino Balkaria. The top of the list is occupied by the Portuguese community (100,855 people), followed by the Bolivian (53,235), the Japanese (47,317), the Italian (33,388), the Spanish (26,496) and the Chinese (24,914). In seventh position is South Korea (16,979), followed by Argentina (13,816), Germany (9,751) and Chile (9,449), occupying the tenth position. Among the 15 countries that are on the list, with numerous communities in the city, the last five places, in descending order of number of foreigners are: the USA (8,475), France (6,749), Lebanon (6,672), Peru (6,160) and Paraguay (5,504). It is noteworthy that the numbers correspond to foreign immigrants who live in the metropolis permanently, not including descendants. For the municipal Secretary for Tourism and President of SPTuris, Wilson Poit, the data show the characteristics of the metropolis that is diverse, multicultural and welcoming. “The different nationalities living here may be perceived by the artistic manifestations, festivals, characteristic neighborhoods and diversity that make up São Paulo. In general, our city is made up of a little of each country,” says Poit. In addition, the Centre of Tourism and Events compared a list of permanent communities with the Statistical Yearbook of Embratur, which reveals the five countries that send tourists annually to the city of São Paulo. According to the Yearbook, the major emitters are also in the list of the largest foreign communities living in the capital. They are: Argentina, Chile, USA, Germany and France. The infographic also showed some peculiarities. The population of São Paulo also has residents of Liechtenstein (Principality located in the center of Europe), Benin (West Africa), Myanmar (South Asia), Lesotho (Southern Africa) and Kabardino Balkaria (Russian federal division). Even one of the countries with the smallest populations in the world, San Marino, has one resident in the city of São Paulo. In addition, more than 1,200 people devoid of nationality and three persons without defined nationality live in São Paulo. The following list shows the 15 countries that send tourists to the capital (according to the Statistical Yearbook of Embratur) and the first/main 15 countries with foreign communities in São Paulo (according to data from Sincre, organized by OTE). Read more at Center of Tourism and Events.